Days with blue skies and frosty temperatures are some of my favourite ones to get the family out into the outdoors for a lovely family walk during winter. Bracing yes but also beautiful. 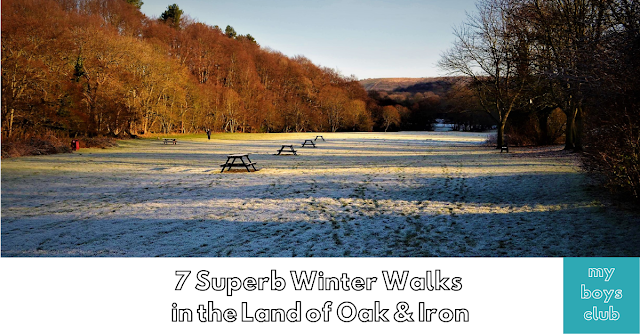 A family winter walk is a perfect way to shake off the blues of the cold, dark months and get our little ones running around and get us all active – so here are seven superb spots in the Land of Oak & Iron to inspire you to get out there. Covering an area surrounding the River Derwent including Consett, Rowlands Gill, Prudhoe and Whickham, the Land of Oak & Iron has 500 years of authentic heritage, history, heroes and habitats, and a wealth of activities and exciting projects to explore. Rekindling local passion to enable this area’s unique combination of natural, industrial and cultural heritage to be uncovered and rediscovered, the Land of Oak & Iron is about celebrating the past while looking forward to a sustainable future. It is an area which has a fascinating industrial past of iron and steel making, an abundance of natural woodland, and intriguing stories of people who helped shape history, which all makes it a wonderful place for a winter walk. Castleside to Allensford circular, approx 4.5km / 2.75 miles - Start at the car park on Church Street, Castleside. Cross the road and walk through Parish Wood, follow the path down into the lower end of the Derwent Gorge, cross the A68 to Allensford Country Park. There is a cafe here for a quick stop, then cross the road then and go up steps to Bale Hill Wood, follow paths to Castle Hill Wood, before crossing A68 again and dropping back down into Parish Wood, then return to car park. Look out for the Land of Oak & Iron woodland volunteer team, they'll be working in Parish Wood on 21st and 28th Jan.
Allensford is a small country park and hamlet in County Durham and a gateway to the Land of Oak & Iron. It is situated a short distance to the west of Consett, and to the east of Castleside on the River Derwent. Allensford is great for dogs (or children) to splash in the river - remember wellies in winter. 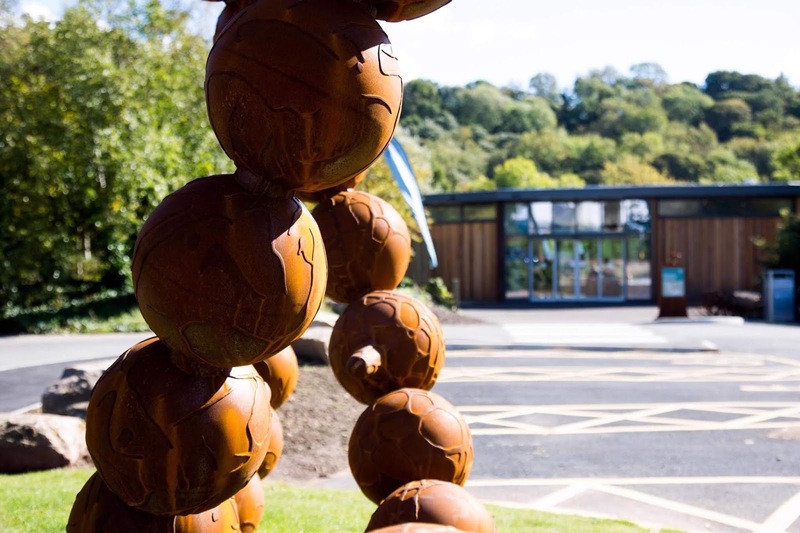 You can also do a detour into Deneburn Wood, adjacent to the caravan park, look out for the sculptures and see what you can see from the platform overlooking the river. Bale Hill Wood was planted in 2016/17 by Woodland Trust as part of Land of Oak & Iron's Woodland Restoration project. There are great views down the Derwent Valley from here. Look out for Woodland Trust volunteers at Castle Hill Wood, every third Wednesday of the month. Fairly hard walk, muddy, steps, stiles, hills. 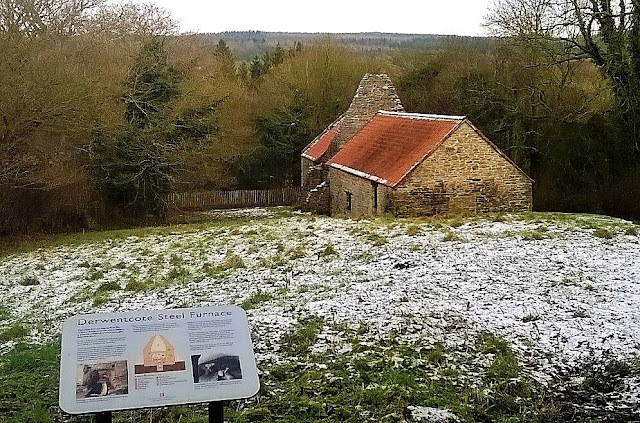 At Milkwellburn Wood Nature Reserve there are approx 3km / 1.75 miles of woodland to explore. Formally an ancient semi-natural woodland, the diverse flora and fauna of this ancient oak wood remain in the woods’ steep sided gills. Streams and springs support a rich moss and fern community. Conifer plantation has replaced broadleaf woodland on the gentler slopes, but a program of restoration by Durham Wildlife Trust now breathes new life into these areas. An extensive footpath network gets you even closer to nature. Access is from an unsurfaced road heading NW from the end of Blackhall Mill, with a small parking area available on edge of the wood. You can add an additional approx 4km / 2.5mile loop and follow the river to Derwentcote Steel Furnace. Cross the A694, then go through the car park and follow the path up to the Derwent Walk. Head west, dropping back down through Hamsterley and footbridge at Blackhall Mill. Derwentcote Steel Furnace, Rowlands Gill, near Newcastle, England, built in 1720, is an example of an early cementation furnace which produced high-grade steel. It was restored in 1990 by English Heritage. The woodland has surfaced paths, but may be muddy and will be some inclines as it's on the side of the valley. Clara Vale and Ryton Willows Nature Reserves, is approx 5.5km / 3.5miles walk where you can explore the nature reserves as well as walk along the River Tyne. After the closure of the Clara Vale pit in 1966 nature reclaimed this site, which was then saved from development in 1986 by a campaign led by local villagers. It became a protected Local Nature Reserve in 1995 and is now home to a wonderful variety of wildlife in every season. There is a small car park at Clara Vale Nature Reserve, accessed via Stannerford Road. After exploring the nature reserve, walk back along the road to Stannerford Road and turn left, taking care when crossing the railway line. Follow the track straight ahead across the golf course, then turn right along the river. Follow Keelman's Way along the river to the end of Ryton Willows (just before field with large pylon), turn right and explore nature reserve before returning to Keelman's Way at Tyne View Cottage. Return back to Clara Vale. It is a fairly flat walk, but some paths may be muddy. Keelman's Way is surfaced multi-user track, so do beware of cyclists. Pont Burn is approximately a 6km / 3.75 miles walk up through the woods to Dipton, returning down into the valley through Ewehurst Wood. Pontburn Woods represents one of the Derwent Valley's largest remaining areas of deciduous woodland. Popular with locals who enjoy good access via a comprehensive path network. Nuthatches number among a healthy population of breeding birds. Park at the car park off B6310, under the viaduct. Take care when crossing the road. Follow the path up through woods then along the side of the field. At the top of the field follow the fence to right and around the edge of the field until it goes back into the wood. Follow the path down to burn, turn left and follow the paths all way up by Pikewell Burn. 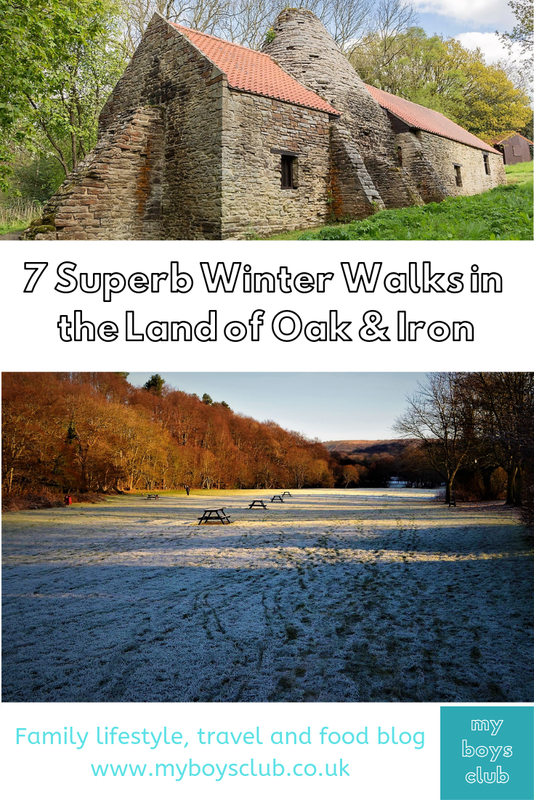 You will walk through the middle of a Land of Oak & Iron archaeology dig site, just before climbing a stile and crossing the field to the track up to Dipton. Turn left along main Dipton road for approx. 800m / 0.5mile, then follow paths down through Ewehurst Wood back to car park. Alternatively, from archaeology dig site take the path across fields to avoid walking along a road at Dipton. This is a fairly hard walk with steps, stiles and some muddy paths. Lower Derwent Valley offers an approx. 6km / 3.75 miles walk to explore the local heritage and walk the ancient routeways. Start at Land of Oak & Iron Heritage Centre in Winlaton Mill and turn right along the path which follows River Derwent and crosses the river on the Butterfly Bridge. Turn right on the Derwent Walk, then take the path up to the left to Hollinside Manor. Great views up the valley from here. Head to the east and cross Clockburn Lonnen, then follow the path up to Woodhouses Lane. Clockburn Lonnen was once the main highway from the north to Durham, Cromwell's army passed this way in 1650. Follow Woodhouses Lane to Swalwell Bank, turn left down the hill, keep left at the traffic lights then follow the signs to Derwent Country Park, going under the old railway bridge. Follow the track past Swalwell Visitor Centre and around the Cricket Club, continuing back to the Heritage Centre. 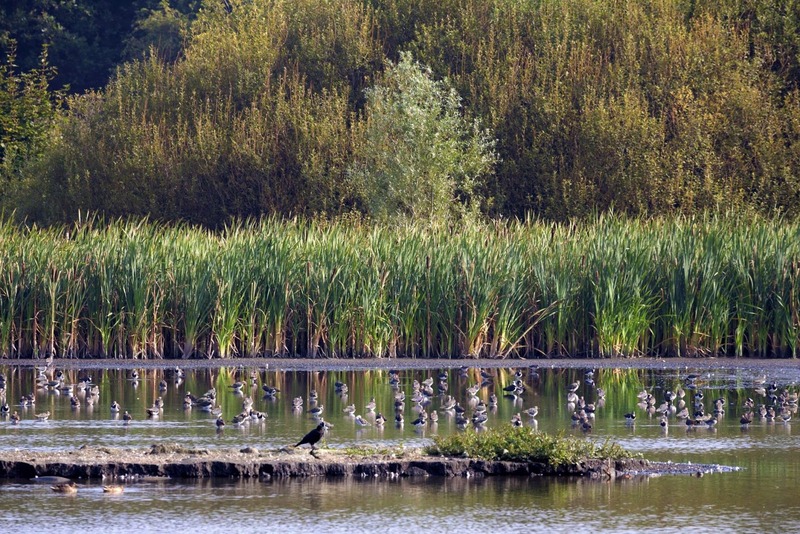 Shibdon Pond Nature Reserve and Shibdon Meadow offers approx 2.5km / 1.5miles walk with winter bird watching. Shibdon Pond is one of the few large open water bodies left in the southern part of Tyne and Wear and is one of the best wetlands in the region for wintering wildfowl. A car park is available at Blaydon Youth & Community Centre, from where you can explore the Nature Reserve, looking out for wetland birds, which this area is known for. At the western end of the disused railway, there is a path which leads to Shibdon Meadow, a Land of Oak & Iron project led by Durham Wildlife Trust who manage these areas. Although flat, paths may be muddy. Strother Hills Nature Reserve and Whinfield Coke Ovens is approx 1.5km / 1mile with hidden heritage and reclaiming the grasslands. Park at the end of Highfield Road. Walk through bike barrier and follow the path around to the left to a viewing area overlooking Whinfield Coke Ovens. There were once 193 beehive coke ovens, built in 1861 by the owners of the Victoria Garesfield Colliery to produce coke from coal mined at Victoria Garesfield and Watergate Collieries; they were the last to operate in Britain until 1958. 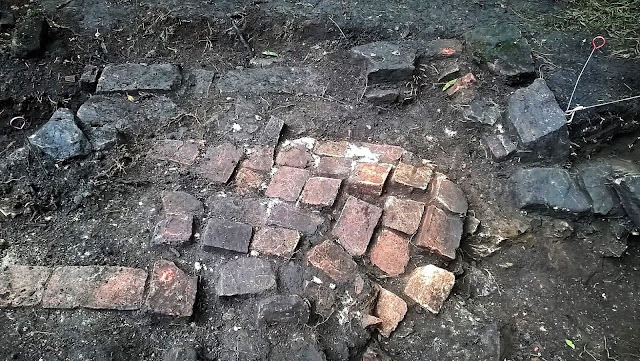 There are only five complete and two partial ovens if you go and look today, see how many different bricks you can find as you walk around – are there any from near where you live? The coke ovens sit within Strother Hills, a beautiful woodland to explore, with a footpath link into Chopwell Wood at Victoria Garesfield. Return to the main path through Strother Hills and continue away from the industrial estate to Lintzford Lane, turn left along the lane to School Houses, taking care along the road. Turn right along School Houses, when the road bends left, turn right into Victoria Garesfield Local Nature Reserve. Local residents have been learning traditional scything skills and are taking ownership of this area, bringing it back into management after it fell into a state of neglect. After a wander around the grassland, return to Highfield Road, look for the small path around the side of the high wooden fence, in front of the air raid shelter type building. Explore the Coke Ovens up close, see how many different bricks you can find. Although this walk is fairly easy, paths may be muddy and care must be taken on Lintzford Lane.